Simmi and Mihika instigate Raman against Ishita to the extent that he thinks of remarriage. Simmi asks him to get remarried for Pihu’s sake. She tells him that Pihu will get a mum and stop going to Ishita. She asks him to show Ishita that they don’t need her in their family. Raman gets provoked and gives his approval for remarriage. He agrees to Simmi’s suggestion. Mihika tells Simmi that if they succeed to take Raman’s signatures on divorce papers, they can make Ishita sign too. Simmi tries to break the news to Pihu. She is glad that Ishita will be out of Raman’s life. She wants Pihu to inform Ishita about Raman’s decision. She tells Pihu that Raman will remarry to get her a new mum. Pihu sheds tears. Simmi waits for Ishita to get a shock by the news. Pihu reaches Ishita and tells her about Raman’s remarriage. Simmi tells the family that she has convinced Raman to get remarried for Pihu’s sake. She says Raman should stay away from Ishita, and this will be a right decision for his life. Raman wants Pihu to get a mum. He doesn’t want to show Ishita that he needs her for Pihu. He wants to completely cut off ties with Ishita. Pihu tells Ishita that if Raman gets remarried, they will get separated forever. Ishita gets moved by Raman’s shocking decision. She decides to confront him. 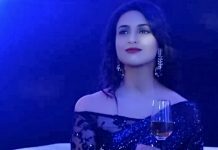 Simmi doesn’t want Ishita to reveal their relationship to Raman. Raman asks Ishita to stay away from his personal matters. He scolds her for using Pihu to enter his family. He gets disheartened that he has loved a selfish woman like her. He reprimands Ishita for her deceive. Ishita doesn’t want to give up. Simmi makes the family against Ishita. Worst ever track from the beginning of the serial. Please change the track or end the serial.